Drea here with a card that I made for my nephew, Neo, using Bo Bunny's Forever Young I Want It All Bundle from FotoBella! Since Neo's dad (my brother) lives in Las Vegas, I used the cards that come in the Ephemera. Neo also likes to play cards, and LOVES donuts like his Auntie Drea, so I cut a couple of those from the 12 X 12 Collection Pack. The ribbon and green paper also come in the Ephemera, along with some stamps, which I used to stamp the black arrow. Then I added the little blue envelope from the Layered Chipboard and all of the Chipboard hearts. 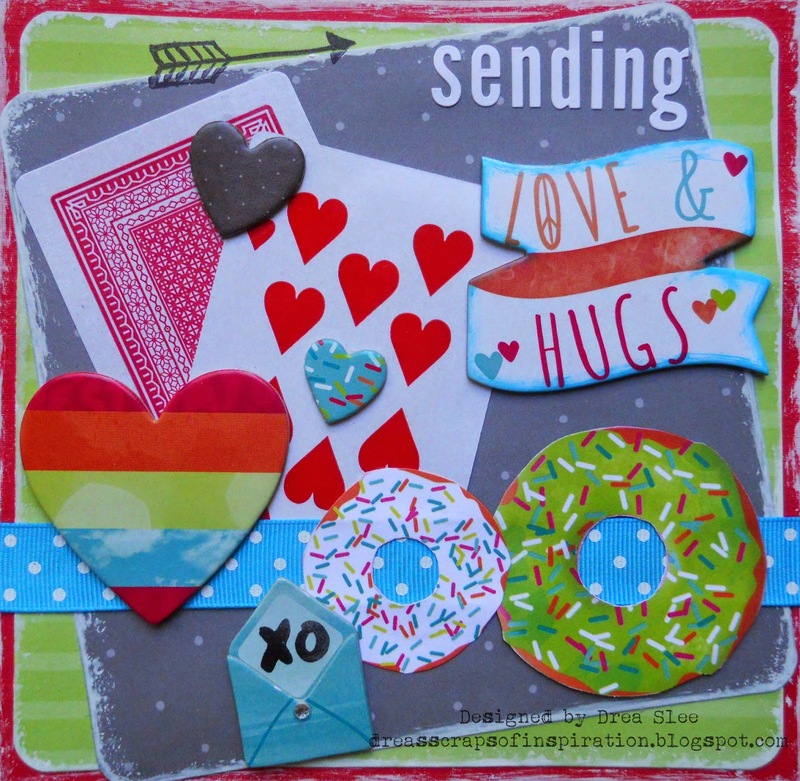 I cut off "Peace" from the LOVE & HUGS chipboard banner, so I could add the white Alpha Stickers to spell "sending". A fun and easy card to show your love!